Life has its ups and downs, but when those downs seem to be sticking around for a lot longer than welcome, you often have to take action to chase them off. When you’re working hard, stressed out, and even frustrated, you might be in need of a last minute break. But, if you’re a planner and you like to be organized in life, this can seem like a crazy choice to make. If though you know it could be all you need to boost your mood. So, instead of letting the downs stay down, work on bringing them up with a last minute break away done the easy way. First up, you’re going to want to find the right deal. This may seem like the hardest part to you, but it can actually be the easier. Head to your favorite travel website and get searching. Be flexible with your dates, location, and duration, and you’ll be surprised what good deals you can find to get you away. You’ll even discover that having an open mind will allow your last minute break to take you to a place that you never knew you wanted to see. Then, when your break is booked, you’re going to want to decide what to take. Packing can often be a nightmare at the best of times, let alone when you have an impromptu vacation coming up. But, the easiest way to get around that is to pack a capsule vacation wardrobe. Not only will you be able to select items that work well together, but you’ll also be able to pack in record time and make sure you only take what you need. If you find that you have some gaps in your closet, you’re going to want to do a small shopping spree to fill them. But, you may also need to shop for a few other things. 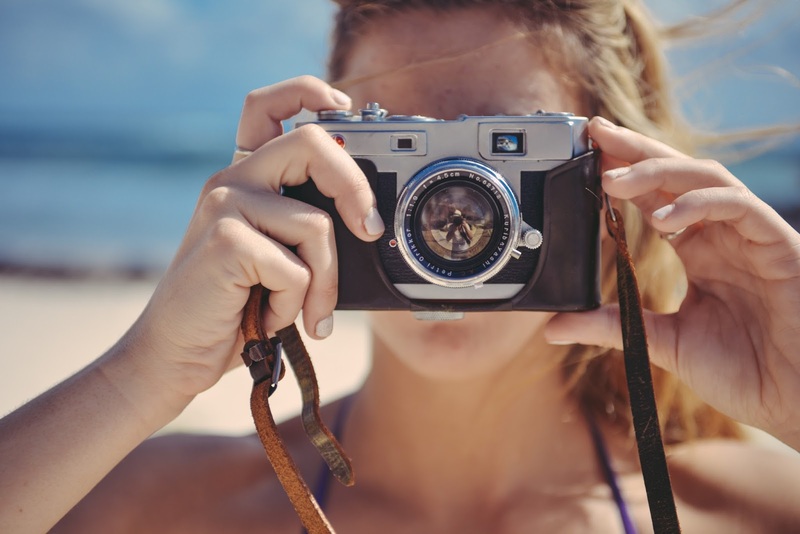 Alongside the vacation clothing that you’re missing, you may need travel beauty bites, or travel essentials like medication, insurance, or luggage – so sort that now. When you think you’ve got everything together, it’s then time to start your beauty prep. Because when we go on vacation, we all want to look and feel good first, as well we when we’re traveling. So, give your hair a deep condition, get a manicure, a wax and a spray tan, and wear a face mask before you go to bed. That way, you’ll wake up feeling fresh and vacation ready. With holiday season around the corner, thousands of us jet off to warmer climates. However, an important aspect of travelling which people often forget is taking care of your skin. Travelling can cause unnecessary stress and forgetting your daily skincare routine while on-the-go can have an adverse impact on your skin. Travelling, especially if it involves aeroplanes, can be harsh on our skin. This is because the air we are exposed to on plane cabins is less humid than the air we breathe on the ground. In aeroplanes, humidity in the air can drop down to 1 percent, especially on long flights. This leads to problems such as itchy and dry skin. Hence, it is always important to pack a special bag of skincare products and not forgo your beauty routine as it can have a long term impact on your skin. However, we understand that hauling a long list of products such as multiple types of moisturisers, creams and serums can add considerable weight to your baggage. This step by step guide provides the various actions you should take before and during your holiday to ensure that your skin remains healthy and that no unnecessary weight is added to your already full baggage. Instead of using a base with heavy, oil based formulas, you can apply a lightly tinted moisturiser such as a CC or a BB cream while flying. Usually, these moisturisers come in small and compact tubes which don’t take a lot of space and are easy to apply. For best results, it is recommended that you apply a facial serum to ensure that your tinted moisturiser stays in place, especially during air travel. Facial serums also help keep your skin hydrated and come in small travel size tubes which are ideal for carrying in your bag. As the most important skincare product, don’t leave your moisturiser at home. Moisturisers help keep your skin fresh and hydrated, while ensuring that your skin does not suffer in the long run. If you are older, then moisturisers can ensure that your skin does not dry out, especially during long flights. Anti-ageing moisturisers are one of the best skincare products you can buy, particularly if you get them from a natural skincare company like www.nakinskincare.com whose products will be more gentle on your skin, so don’t forget to take it with you on your travels. You can pack a small moisturiser or transfer your favourite moisturiser into a small bottle while travelling. Use water based cleansers to remove makeup during long flights. As opposed to harsh makeup wipes, light cleansers help clear away makeup, remove dead cells, dirt, oil and other pollutants from the surface of your skin without over-drying it. You can carry a cleanser decanted into a small, travel size bottle. Even during your holiday, it is recommended that you cleanse at least twice a day – once in the morning and once before sleeping. Carry a small tube of hydrating mask in your makeup bag. Ideally, you should at least apply a mask once a week. If you are travelling for more than a week, then a light mask without colour or harmful chemicals which also does not need to be wiped or rinsed off is an ideal choice. Such a mask is ideal for flying as it can hydrate your skin and clear away any impurities which can clog your pores and cause acne or inflammation. This is especially important if you are travelling to a hotter climate with more humidity than you are used to. Flying can be very dehydrating due to controlled temperatures in the plane. Hence, packing a hydrating spray or toner can help hydrate and smooth your skin, ensuring that your makeup stays in place. You can spray this liberally throughout the flight for fresh looking skin, even after long and tiring flights. If you can’t find a travel size bottle, then decant the spray into small bottles. You can keep this in your bag to ensure you always look fresh and well-rested. Eyes are our most important feature, and often the most ignored as well. While travelling, we tend to forget basics such as the importance of hydrating eye creams. During long flights, it is recommended that you continuously dab a little eye cream around your eyes to prevent under-eye bags and wrinkles. Eye cream tubes and bottles already come in small packages/bottles which can be ideal for placing in your bag without worrying about space or baggage issues. If you are not carrying a tinted moisturiser with SPF protection, then carrying a sunscreen is important. Whether you are flying or planning a staycation, it is important to avoid being exposed to the sun without a protective layer of sunscreen. This can help prevent sun damage, sunburns or deeper skin damage. Pack a waterproof sunscreen if your holiday involves blue beaches and white sand. Transfer a small amount of sunscreen into a small pot to ensure that it does not take extra space. Travelling can cause your skin to become dehydrated, leading to wrinkles and fine lines in the long run. Hence, it is important to carry at least a few basic skin care products such as moisturisers, especially if you are older. [pipdig_padded_text]Upon arriving in London go to the Westminster area for some serious sightseeing. No luxury trip to London would be complete without taking in the Buckingham Palace. The palace itself is beautiful and is the headquarters of the reigning monarch of the United Kingdom. As you snap some pictures by the gates imagine all the royal visitors and state functions that have taken place throughout the years! If you haven’t got your palatial fill head to the Palace of Westminster for some more amazing architecture and sightseeing opportunities. Of course, Big Ben isn’t to be missed and neither is Westminster Abbey. [pipdig_padded_text]After your cultural afternoon, it’s time for some shopping. Oxford Street is famous all over the world for its selection of high-end boutiques and designer stores. Once you’ve perused the shops walk to Soho for some lunch. Soho is a bright and vibrant part of London. It’s bustling with eateries, each more enticing than the last. Try some of the amazing street food here, the falafels are particularly good! [pipdig_padded_text]Stay in the area to experience the amazing nightlife that Mayfair has to offer. Largely considered the coolest nightlife spot in London, Mayfair is home to some of the best clubs, pubs, and bars. Get on the Tape guestlist if a night dancing is your thing. Previous guests include sporting star Usain Bolt and Justin Bieber. For the ultimate end to the evening make your way to The Dorchester. This iconic hotel is recognised the world over as being a bastion of elegance, luxury, and sophistication. [pipdig_padded_text]Begin your final day in London by heading west to Portobello Road. This famous road is located in the trendy Notting Hill area. Come here early to see the market sellers setting up their stalls for the day and to avoid the huge crowds. You’ll find all sorts of trinkets and wares being sold. From vintage clothing to costume jewellery, and from painting to pianos, it’s all here. Expect to spend some money here, after all, it is where London’s fashionable 20-something set come to shop. After all that shopping and walking you’ll probably be ready for lunch. Head to Granger & Co in Westbourne for some sustenance. This is one of London’s best breakfast spots, so expect to queue. Inside you’ll find no-frills decor and an interesting and exotic menu. Expect to pay a fair bit but be rewarded with hearty portions. For those with a sweet tooth, the banana fritters with honey ice cream are a must. 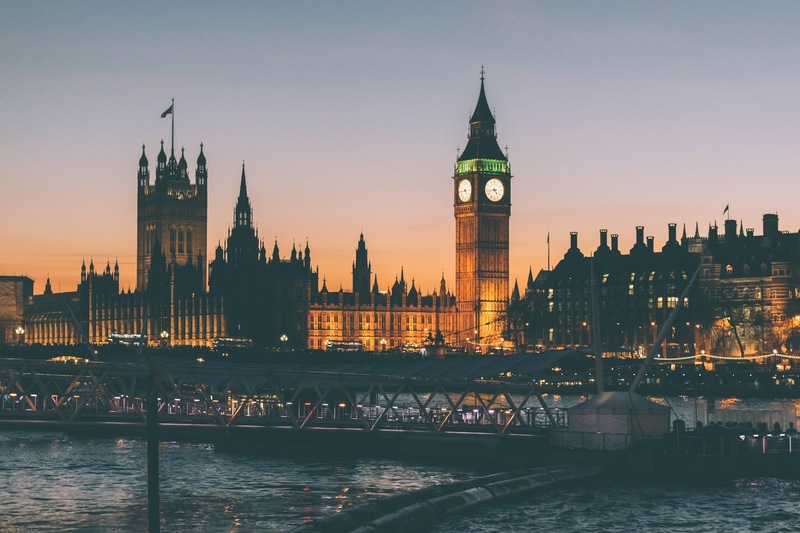 What is your one must-do thing when you’re in London? With 9.6 million Brits visiting Spain in July last year alone, the super sunny country’s popularity as a holiday destination doesn’t seem to be going anywhere just yet! I’ve only visited Spain once before, when I went to Valencia a few years ago, and I would absolutely love to go back and explore more of what the country has to offer. Holidays in Spain are normally associated with the sun, the sea and the many beautiful beaches around the country. However, there’s a lot more to experience than just beach holidays (not that there’s anything wrong with lounging around in the sun, sipping on a cocktail while soaking up some Vit D!) Spain is also a great destination for those who are looking to experience some art, culture and history on their holiday. For this reason, I’ve compiled a list of some of the places I would absolutely love to visit in Spain. Of course, you can’t visit Spain without visiting Barcelona – the capital city of Spain’s Cantelonia region. Barcelona also happens to be one of the best cities in Spain to visit if you want to experience a bit of everything – culture, art and the beach! I would love to visit Barcelona’s Basilica of the Sagrada Familia – a building that is synonymous with Barcelona and one that looks spectacular in all the photos (and I’m sure it looks even better in real life!). The Casa Batllo is another landmark on my Barcelona to-do list, with its interesting and colourful design (#perfectinstagramspot). 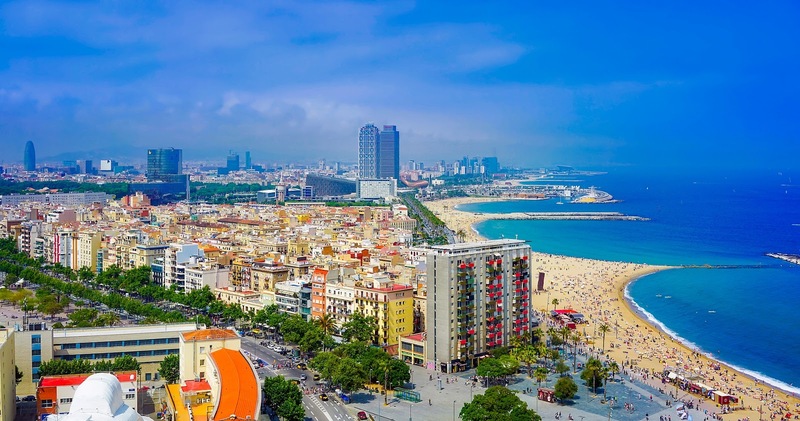 When it comes to beaches, Barcelona has many gorgeous beaches to choose from, including Barceloneta Beach (crowded but with plenty to see! ), Nova Icaria Beach (amazing watersports!) and Bogatell Beach (for those who prefer a quieter option!). Valencia is the third largest city in Spain, after Madrid and Barcelona and although I had already visited Valencia a few years ago, I would love to go back and explore more of what the city has to offer. The iconic City of Arts and Sciences is top of my to-do list and a must-do for anyone visiting the city. Amongst the museum and entertainment landmarks here, animal lovers must be sure to visit the Oceanografic – Europe’s biggest aquarium. 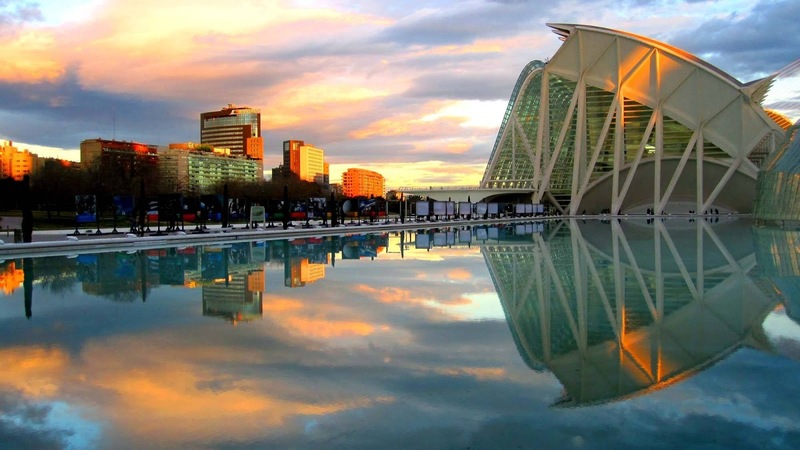 Families will also love the Hemisferic – a digital 3D cinema, with a huge 900 metre concave screen and the Principe Filipe Science Museum, whilst music lovers will love the Palau de les Arts Reina Sofía Opera house. Have you visited Spain? What are your must-see spots? Sometimes, taking a long summer holiday just isn’t affordable. Don’t despair, however. 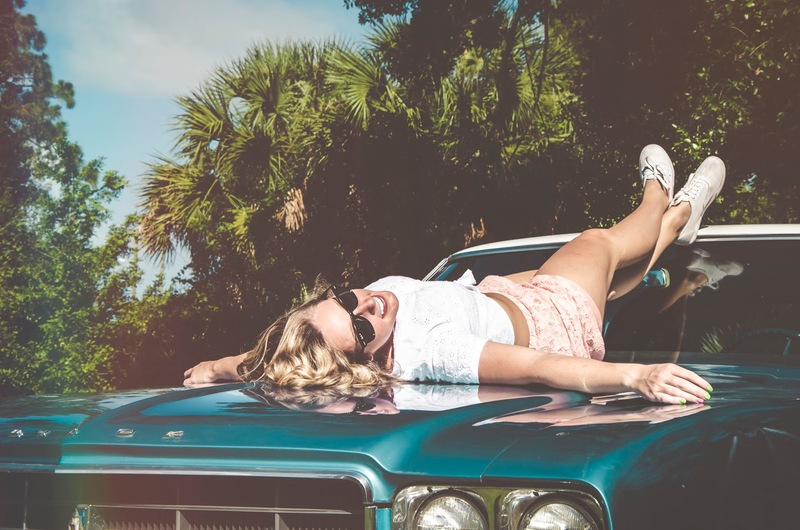 There are so many sights you can see right here in the UK, and hiring a car to travel in could turn out to be one of the best decisions of your summer. The Kia Picanto is one of the top rated rental cars here in the UK. This is mostly down to its name. Kia has marketed this car as their city car, which is perfect for navigating tight spaces. However, this doesn’t mean that the car itself is tiny. With spacious interiors, the car is perfect if you’re a couple looking to travel around the country in a practical rental car. The Picanto was debuted in 2014 and has since received some lovely face lifts. It also has a great reputation in terms of safety on the road. Again, the Ford Ka is perfect for couples looking for adventure this summer. The compact design both in and outside of the car is great for perusing UK cities and urban landscapes alike, and the solid steel design is tough if you’re ever involved in a collision on the road. The Micra is a classic car. The model itself has been in production since 1982 and has been on the roads as a rental car for two decades. The new K12 model, introduced in 2012, of this vehicle is unrecognisable from its predecessors, with a great new design and colour range to suit your needs on the roads. Originally released on UK roads back in 2002, the Citroen C3 was a replacement for the Citroen Saxo. In 2016, the car was revamped with a brand new design and is well known for its amazing safety records on the road. Inside the car is spacious, and the boot has room for 3 suitcases, including smaller bags. 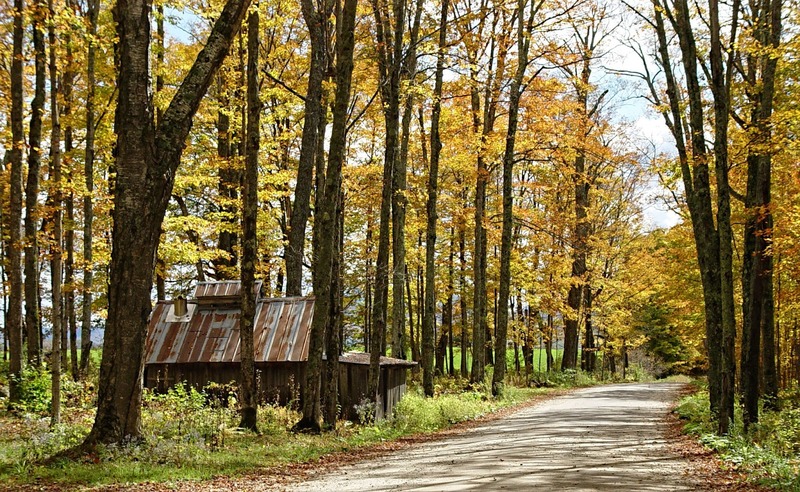 If you’re a big camper, this could be the ideal rental opportunity for you. Available in both a 3 and 5 door model, the Fiesta features include a self-cleaning windscreen, amazing fog light, and the option to sync your phone to the car itself – which is great for listening to your tunes on long journeys. In terms of legroom, the Fiesta is quite capable of holding a lot of bags/essentials in the boot, whilst comfortably fitting three people in the back seat. As a large top end car, this is great if you’re looking to arrive in style to your desired location. The design of this car is sleek and is host to a large range of tech perfect for the geeks out there. The boot of the Mondeo can hold up to four suitcases, and the spacious interior is not to be sniffed at. The Ford Galaxy is a monster. With 7 seats inside that allow plenty of legroom, this is the perfect car for families looking to travel around the UK this summer. The model also comes with amazing safety records on the road, thanks to its tough exterior. The Tourneo is a people carrier with insane amounts of power. The Tourneo can comfortably fit 9 people and is perfect for making business trips or a long journey with large groups of people. 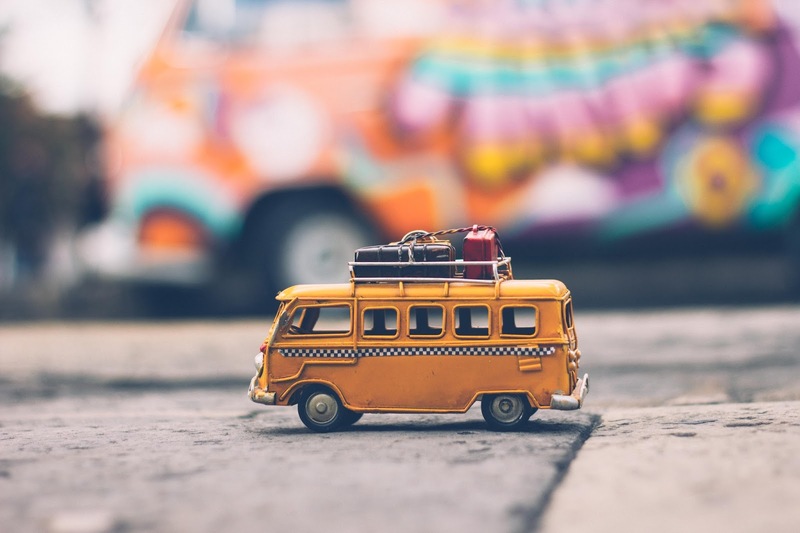 If you’re looking to book a hen do, or you would like to travel across the country with friends, the Tourneo would be perfect! With a redesign which trumps its competitors, the new and improved Focus comes complete with Sat Nav, Bluetooth control and more gadgets. You can also connect your phone to the car thanks to the USB tech inside. Going on a road trip can be very exciting! Gathering some friends and travelling by car to somewhere new gives you total flexibility on your route, allows you to be as spontaneous as you’d like, and of course, you can sing along to your favourite drive along music as loud as you want whilst having long, deep chats! Checking the fluids in your car before you set off is quick and easy to do, and it can help to prevent problems such as car accidents or unnecessary breakdowns on the road. It is important to check that the oil, coolant, brake fluid and windscreen wash levels are all sufficient. If you’re not sure where each fluid reservoir is located, you can refer to your car manual which will demonstrate the exact location. Nothing quite deflates the mood as much as a flat tyre whilst on a road trip! Therefore, be sure to check that the air pressure in your tyres is on par with your vehicle’s recommended PSI, which can be found in your car manual. It is also important to check the pressure in your spare tyre, which is frequently neglected. This may be an obvious one, but it’s important to ensure that all your car lights and signals are working. Sit in your car and turn on each light or signal, and ask a friend to tell you if it is working or not. If necessary, replace any bulbs that aren’t working and consider carrying a spare bulb with you on your road trip for emergencies. 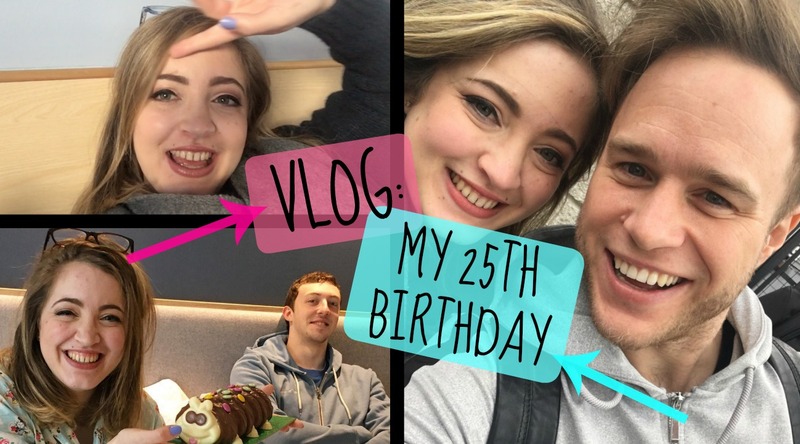 I officially turned 25 last week – and so I decided to finally take the plunge and vlog my birthday weekend! The weekend consisted of a mini-holiday to Ireland, where I saw Olly Murs in concert (and met the man himself in Belfast) – and I also decided to try out the Benefit Brow Bar in Manchester! Check it all out in my first ever vlog, below! Whether you’re travelling on foot, by car, by plane or by train – every type of transport has its pros and cons. However, I actually quite enjoy travelling by train! Today I’ll be sharing 4 great things about travelling by train, as opposed to other means of transport. Although a surprise performance isn’t something you encounter each time you board a train, travelling by train still has its perks! One thing I enjoy about travelling by train is that there’s no waiting around in traffic, especially on the way to work in the mornings or at rush hour. This is definitely a major perk when travelling by train! When it comes to going on holiday, or more specifically a staycation you could choose to travel by plane, train or car. Of course, travelling by train has the (already mentioned) perk of no traffic. 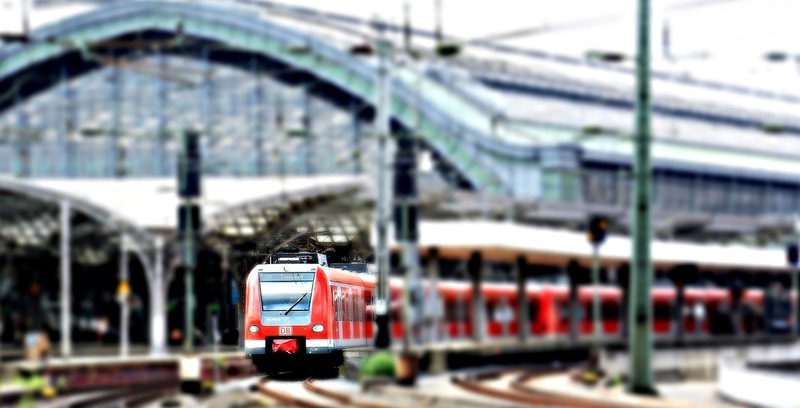 However, another great thing about travelling by train is that there is no lengthy boarding process that you have to endure every time you travel by plane – and there’s no need to get to the station 2 hours before your train’s departure either! If you follow my blog and social media, you might know that I’m a HUUUUGE Olly Murs fan! 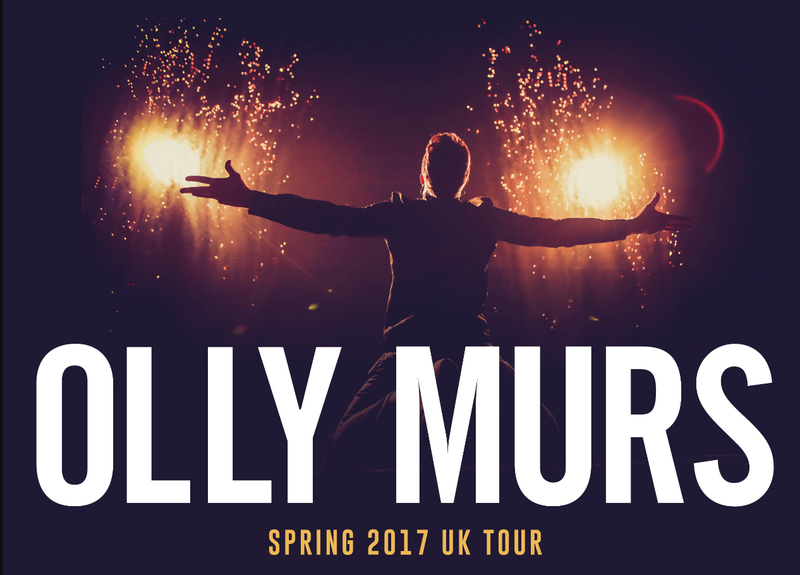 And if you’re an Olly Murs fan too, you’ll probably be aware that Olly is currently touring the UK on his Spring 2017 tour! This week I’ll be giving away 2 pairs of tickets for Olly Murs on 23rd March 2017 in Birmingham. Want to be in the chance of winning? Olly Murs is currently touring the UK, performing songs from his new album ’24 Hours’ as well as some old favourites, including ‘Troublemaker’, ‘Kiss Me’, and ‘Wrapped Up’. I’ve been to Olly’s previous tours and he is by far one of the best artists that I have seen perform live. The shows are guaranteed to get you up on your feet dancing away, and you’ll be sure to leave with a big smile on your face! If you want to be in the chance of winning one of 2 pairs of tickets to the Olly Murs concert in Birmingham on 23rd March, head over to Twitter, follow @beautyandbird and RT this tweet! Winners selected on 16th March 2017 at 4pm and must be able to travel to the concert in Birmingham on 23rd March! Good luck! There are a number of limited tickets still available for Olly Murs’ tour around different cities here. There are so many amazing ways to explore the world – whether that is on foot, by car, or even on a motorbike. 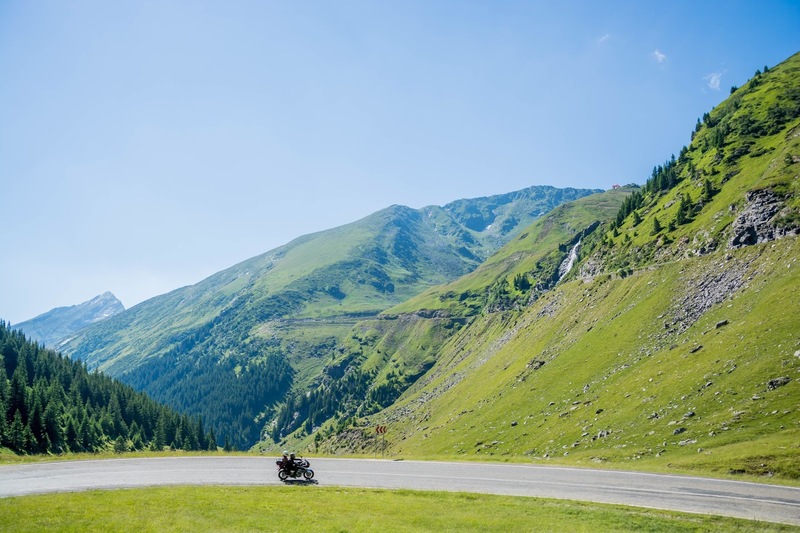 Today I’ll be sharing some of the best motorcycling routes around the world. Vertu Honda have recently put together a guide looking at the motorbike culture around the globe, and how this varies from place to place from the iconic motorcycle clubs in the USA to the stylish scooters in Italy and the mods and rockers of the 60s in the UK. Check out the full guide here. With spectacular views of the clear Pacific Ocean, picturesque seaside towns and amazing stretches of coastal roads, the Pacific Coast Highway in California is one of the most breath-taking motorcycling routes in the world. This 550 mile route guarantees an unforgettable experience and passes by several points of interest and highly photographed landmarks, including Bixby Bridge, and Hearst Castle and of course, it’s definitely worth stopping by at the Vintage Motorcycle Museum in Solvang. 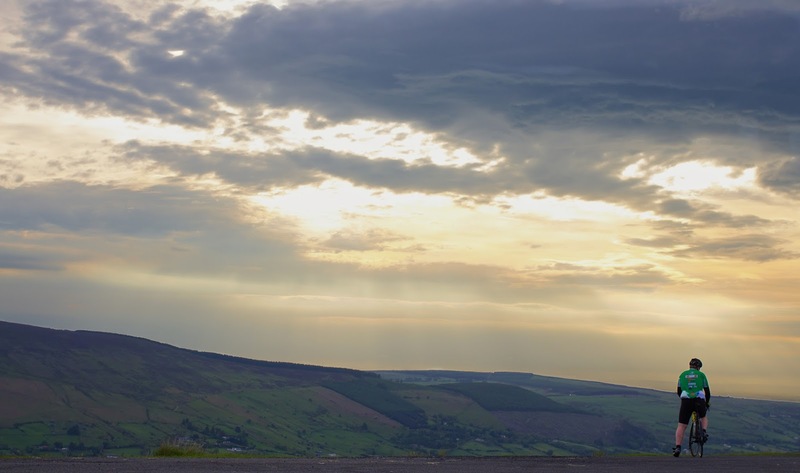 The Peak District is renowned for its stunning views, and Snake Pass, in the Derbyshire area of the Peak District will definitely not disappoint anyone looking for a stunning motorcycle ride. Head north towards Glossop on the outskirts of Manchester and then head eastwards to take in the remarkable views of the scenery at the National Trust’s High Peak Estate – and don’t forget to stop for a quick photo while you’re here. You may have noticed that lately I’ve started to include more and more travel-related posts on my blog, and this year I’ve decided to plan a ‘UK Travel Series’ on my blog. 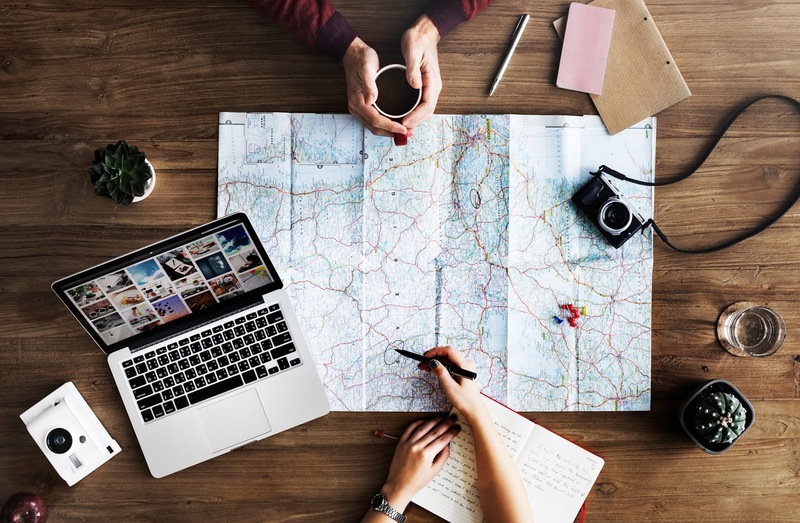 I will be sharing my top tips on places to visit and things to do – whether you’re planning a short weekend break or a longer holiday – and I’ll also be writing about the places I will be visiting. Last week I shared my top things to do on a weekend trip to Liverpool, and today I’ve got a guest post with some of the best cycling routes around the UK. There’s really nothing better than cycling alongside a beautiful view. Or, maybe you look for a bit more of a challenge when it comes to braving the roads? Britain has some of the best cycling routes in the world, so why not make it your mission to freewheel down some of the best paths our country has to offer? 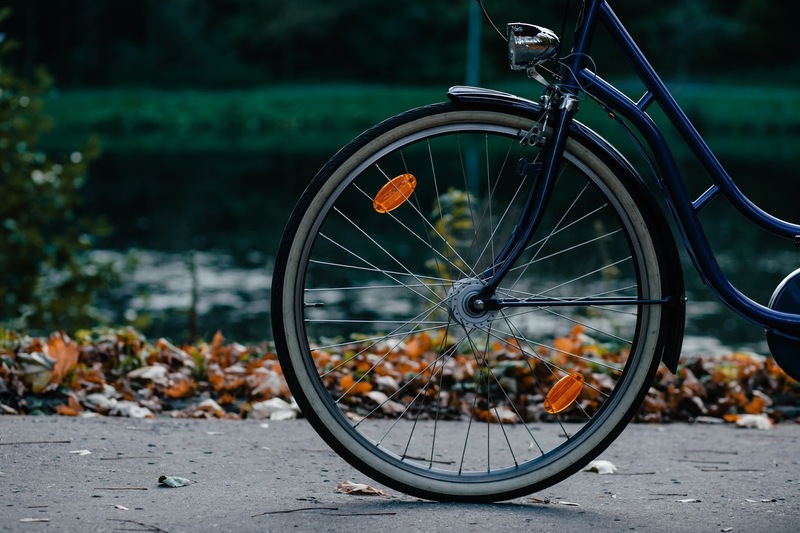 The experts at Formby Cycles know thing or two about cycling and have compiled a list of 5 of the best cycling routes that the UK has to offer! Whether you’re a seasoned long-distance cyclist, more interested in mountain biking, or a relative newbie when it comes to two wheels – there is something for everyone. Otherwise known as ‘The Ralla’, this route used to be an old railway track that was converted into a cycle path back in the 1980’s. This route is particularly suited to the younger and less experienced cyclists as it is just a flat, straight shot once you get onto the path and it is also served well by public transport on either side. Completely out the way of traffic so you’ll be able to get a bit of peace as you cycle down surrounded by the local shrubbery. Check out the official route here. Difficulty: 5 out of 5. The Sea to Sea is a feat of endurance more than anything else and is one of the most popular cycling routes in the UK. This route will take you from Whitehaven to Newcastle – or, from the Irish Sea to the North Sea to live up to its name – and will take you through the Lake District, the town of Keswick, the Pennines and along the disused railway tracks of Country Durham. It is tradition to dip your back wheel in the Irish Sea before you set off and the front wheel in the North Sea when you arrive, so make sure you do it for luck! Check out the official route here. One better suited to those of you interesting in mountain biking, Askham Fell is located in the picturesque Lake District and is mostly an off-road adventure. It doesn’t involve as much climbing as you would expect as the route is mostly in descent, although when it requires you to pedal uphill you’ll definitely be aware of it – but it’ll all be worth it when you spot the views. This route is more suited to those just getting familiar with mountain biking, but there’s enough natural beauty all around you to keep you interested. Check out the official route here. If you want views of the glorious Snowdonia mountainside then this is the route for you, though it certainly doesn’t come easy – nothing good ever comes easy, right? An approximate two-hour journey that involves many a climb from the Welsh town of Bagnor to Llyn Ogwen. It’s a challenging route, but will certainly be a rewarding one as the natural beauty along the way will simply take your breath away. Check out the official route here. Some of you may want to keep your cycling a bit more urban and if so then why not try taking a ride in London? Get in touch with your inner tourist and ride from Buckingham Palace to Kensington Palace. The route is well served with designated cycling paths so you won’t have to worry about dealing with the thought of navigating frightening London traffic. This route will take you through Hyde Park too, so you can still appreciate some urban greenery. Check out the official route here. Do you enjoy cycling? Are there any routes you would recommend?